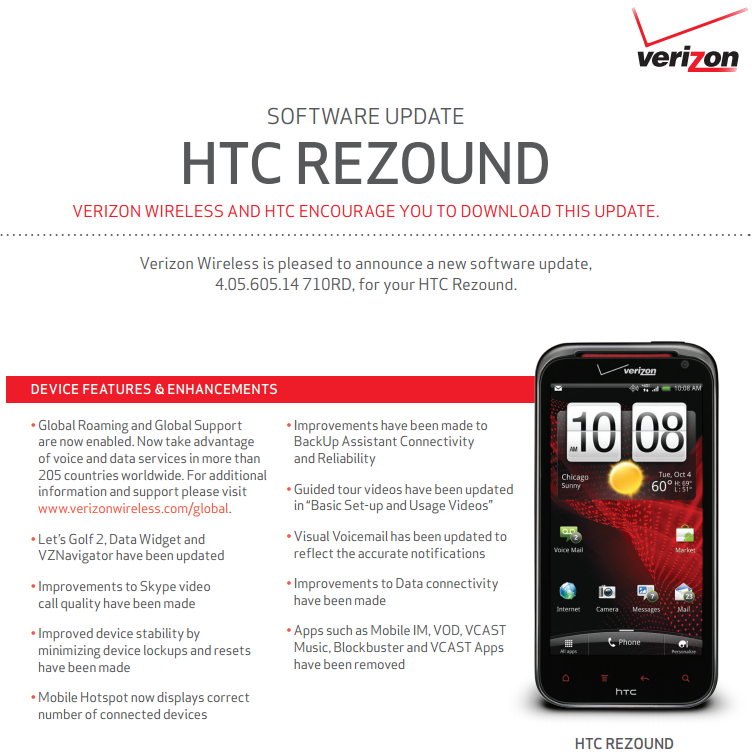 Hey guys, I know that when you hear "Rezound" and "OTA" in the same sentence your first thought is probably "Jelly Bean!" Hate to be the bearer of bad news here, but that's not the case. It's just an update that enables global roaming and does a lot of other petty stuff. See? Let's Golf 2 was updated! Skype was made gooder! 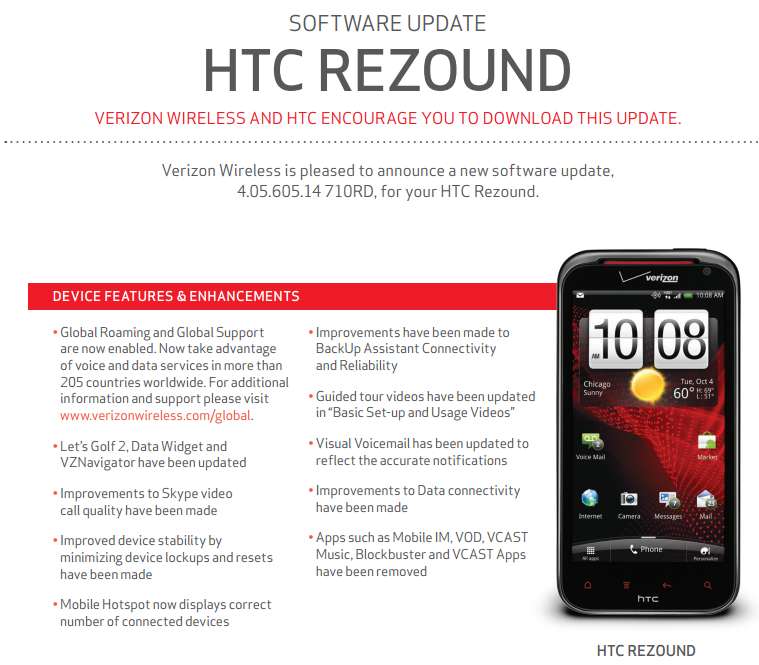 Visual Voicemail now show the correct amount of notifications!